Teaching you the parent to confidently take your baby into the water and introduce him /her to basic water skills. We encourage you to continue to bring your child swimming until you can enroll them in formal lessons at age 4 ½. Classes run for 30mins in 6 week blocks. One to One lessons are 30 mins in duration. Classes run for 40 mins in 8 week blocks. ● Is there any other reason why the child or parent might be behaving in a particular way? ● Is there a pattern to this type of occurrence? ● Did you or anyone else see what was happening? ● Has the child said anything to indicate that he or she is being harmed? ● Could injuries or signs have been caused another way? If you have considered these questions and you are still concerned, it is likely that you have reasonable grounds to take some action. Every organisation that provides services to children should have somebody who is responsible for dealing with suspected or actual child abuse. You should go to that person, or if there is no designated person, go to the manager and tell them of your suspicions. If they are reluctant to take it further, and you still feel concerned, you should report it to your local health board yourself. If it is an emergency and outside health board hours, you should report your concern directly to An Garda Síochána. Under the law, you cannot be penalised for reporting suspected child abuse to the health board or An Garda Síochána as long as your report is made in good faith and is not malicious. Paul Feeney and Yvonne Byrne are the designated liaison persons at Westport Leisure Park. WHAT IF I AM MISTAKEN? Don’t worry – if in doubt talk to the social worker anyway, and they will decide whether or not your suspicion needs to be followed up. Under the law, nobody will be penalised for making a report of child abuse to the health board or An Garda Síochána as long as the report is not malicious and made in good faith. CAN I REPORT SUSPECTED OR ACTUAL CHILD ABUSE WITHOUT GIVING MY NAME? All reports will receive attention. However, experience shows that it is much harder to help children when reports are made anonymously, or through a third party. It is much more useful if you telephone, or better still, go to see the social worker personally. The health board will not normally reveal the names of members of the public who report suspected child abuse unless they have permission to do so. The health board social worker will know the right questions to ask. You should give as much information as you can about the child and their family, along with detailed reasons for your suspicion or concern. If a professional, e.g. a GP, hospital or clinic staff member, or teacher is reporting suspected or actual child abuse, they should tell the family so beforehand, unless doing so would put the child in danger. WHAT SHOULD I DO IF I SUSPECT THAT SOMEONE I AM WORKING WITH IS ABUSING CHILDREN IN THEIR CARE? Follow the advice offered in the earlier question dealing with action to take if you suspect child abuse. WHAT WILL THE HEALTH BOARD SOCIAL WORKER DO WITH THE INFORMATION I GIVE THEM? The health board social worker will consider your information and will assess the situation. If they feel it needs to be followed up they may look for more information from other sources and may contact the child and their parent/s. They will try to establish what is going on, and will act to protect the child in whatever way is necessary. WILL THE GARDAÍ BE TOLD? Physical abuse, sexual abuse and willful neglect are crimes and must be reported by the health board to An Garda Síochána. Likewise, An Garda Síochána must report any child abuse that comes to their attention to the health board. 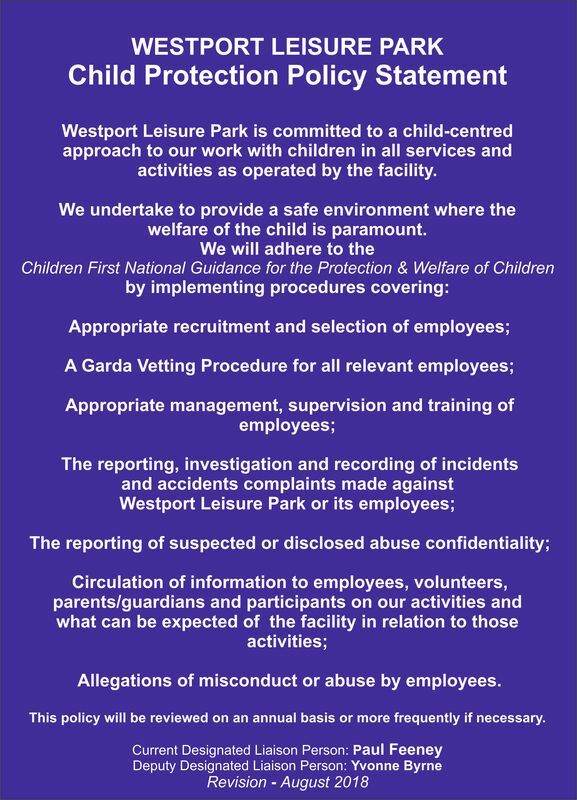 The Gardaí and the health board will work together as sensitively as possible and take any action necessary to protect the child, or any other children from future harm. WILL THE CHILD BE TAKEN AWAY FROM THEIR PARENTS? Very, very few children are removed from their parents because of child abuse. It is much more likely that the health board, together with other services who work with children, will try to help the children and families, and attempt to prevent the abuse happening again. They will provide advice, counselling, family support and practical help wherever they can. Children and parents are separated only as a last resort when other measures to help them have failed. WHERE CAN I GET MORE INFORMATION ABOUT CHILD ABUSE? You can get a free summary of the national child protection guidelines from your local health board. A full edition of the guidelines, entitled ‘Children First: National Guidelines for the Protection and Welfare of Children’ may be purchased from the Government Publications Office at Molesworth St., Dublin 2.